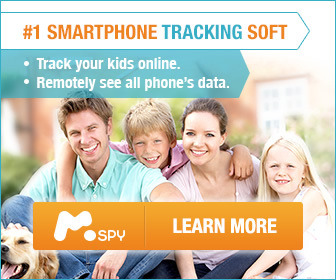 How to Use mSpy Phone Tracker? | Easy Installation Explained! mSpy is complete peace of mind, in app form. There’s no escaping technology in today’s world and while its positives are all around us too, there is a negative side from which your children and loved ones need protecting. An unprepared parent or guardian may think it’s okay to let them have free roam, but you may need to think again. Interested in protecting your family with mSpy? check the demo: FOR A CLOSER LOOK. mSpy allows you to safely, securely and discretely monitor their activity on a range of devices. It not only gives you that kind of protection, but also produces useful graphics and analysis to help you not only see a snapshot of how a device is being used, but trends, changes and anomalies too. Many of us bought our children a cell for their own safety, and it makes perfect sense to give them a way to keep in touch when they’re out and about. However, it can become a burden being concerned about the many potentially unsafe ways their phones could be used. The solution to all this is the mSpy tracker app, which allows you to: monitor calls, messages and location. 1. Call Monitoring: mSpy allows you to see who was called, when and how often. You can also block numbers, including incoming calls from that number, to ensure certain contacts are off limits. You can also see who they have been calling, and have all this data presented in graphs to see trends over time. 2. Text Messages: see who messages are sent to and from and block numbers. 3. Location: track location including a history of when and where and for how long they have been in a location. You can also ‘Geo-Fence’ areas, setting your own custom locations which are safe (a relative’s house, for example) or no-go areas. Tablets sometimes lack the call functions of a phone, but they share many apps and communication technology which can have even more risks associated with them than a regular phone. Many apps offer fantastic ways to keep in touch with nearest and dearest all over the world. However, it’s obvious how such technology could be misused. So, for complete reassurance, mSpy offers ways to monitor many big name apps. Free video calling apps, such as Skype or WhatsApp, give people face-to-face access to your child, so use mSpy to see a log of who was called and when. You can even review multimedia (pictures, videos) sent between users. Snapchat is well known for having a feature which can delete images a few seconds after they are sent. mSpy can recover this information, giving you access to images despite this. Other mature apps such as Tinder can have accounts set up by anyone, with no secure age verification. If your child has this app, you can view chat histories, who they’re talking to and what is being said – if you allow them to have the app at all! While all the above apps have legitimate uses, malicious use such as bullying is common on them. Use mSpy as a first line of defense against such problems. mSpy is compatible with all major mobile device operating systems. Can you use mSpy on a computer? Yes! and while Kids may almost always be one step ahead when it comes to the latest technology, mSpy is an ace up your sleeve for when you need to keep tabs. The two most powerful features of mSpy is its screen monitor and keylogger. The former takes a screenshot of what’s going on, allowing you to see what’s happening at any given time. The keylogger keeps a record of every single keystroke made when they are logged on. This means that even if a message is deleted, a document is changed or their online history cleared, you will be able to see when has been written during their whole time on the computer. This is an incredibly powerful tool, giving you complete access to their interactions, online and offline. Is mSpy right for me? mSpy is a powerful tool. You might have reservations that this allows you access to something your child considers private. And, as adults, we have a right to privacy. However, children need to learn that privacy is not inviolable. It can be compromised for their safety. mSpy does not need to be kept secret, either. You have the option to make its presence visible and be completely open with them about the situation. Whatever your child’s individual needs and your parenting situation, mSpy can help you make their use of technology a safer and better experience.